Morgan James Publishing, 9781630477141, 282pp. 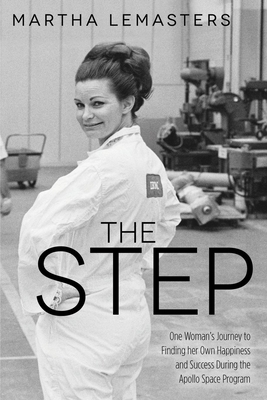 The Apollo team faced challenges and temptations like anyone else in the 60 s: divorce, affairs, deaths, three shifts of work schedules, as well as women's issues, but they also knew how to have fun along the way. Choruses were formed, humorous skits brought laughs to facility dinners, and tennis bets of a lifetime played out on an Apollo stage with human lives on the line, etched with historic backdrops. What was it like to be a part of this history-making event of launching our astronauts to the moon? Fasten your seat belts and journey back to the 60's for a front-row seat by someone who experienced it all. Martha Lemasters spent almost ten years working as a PR writer at Cape Kennedy as a member of IBM s team on NASA s Apollo Program in the sixties and seventies. As a member of the launch support team, these years saw success in seven moon landings, Skylab and Apollo/Soyuz. She worked her way up the ladder from secretary to a respected writer as a single mother of three daughters, trying to find her own happiness along the way."